While this Italian beef bowl pulls its fair share of Mediterranean flavors from fresh ingredients like Italian parsley and tomatoes, the blueprint for the overall dish actually comes from a well known Japanese dish. You see, one of the most iconic beef bowl recipes out there is Gyudon (牛丼) – which is thinly sliced beef and onions served over rice. And, whether you’re eating it as a hearty lunch, or as a late night snack after a few after-work drinks, the taste is out of this world! So, it’s not too far of a stretch to take the architecture of a Japanese rice and beef recipe – and introduce an Italian twist, right!? This is one easy dinner recipe that will have the entire family demanding seconds. While your diners are absolutely going to savor this delicious Italian beef recipe, you are going to love how easy it is to whip up. Seriously! All you need is your rice cooker. In fact, Tiger rice cookers are such capable kitchen appliances, they can prepare both the rice AND the Italian beef mixture at the same time. 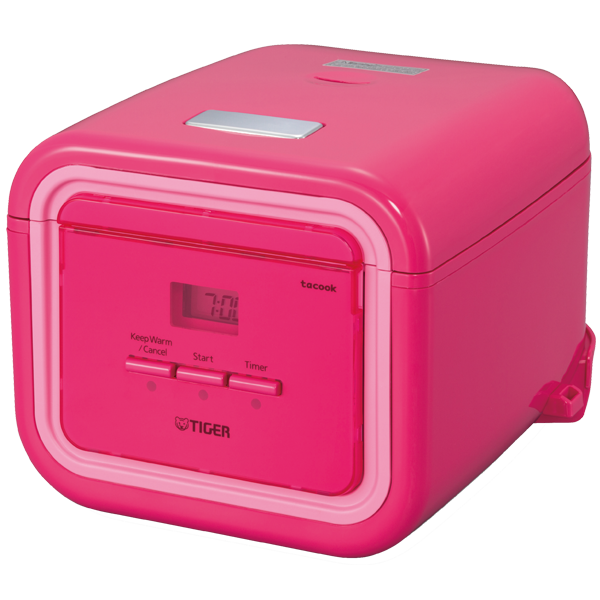 Simply place your rinsed rice and water in the inner pot of your Tiger multicooker. Then load the ingredients for your Italian beef bowl in the Tacook cooking plate. 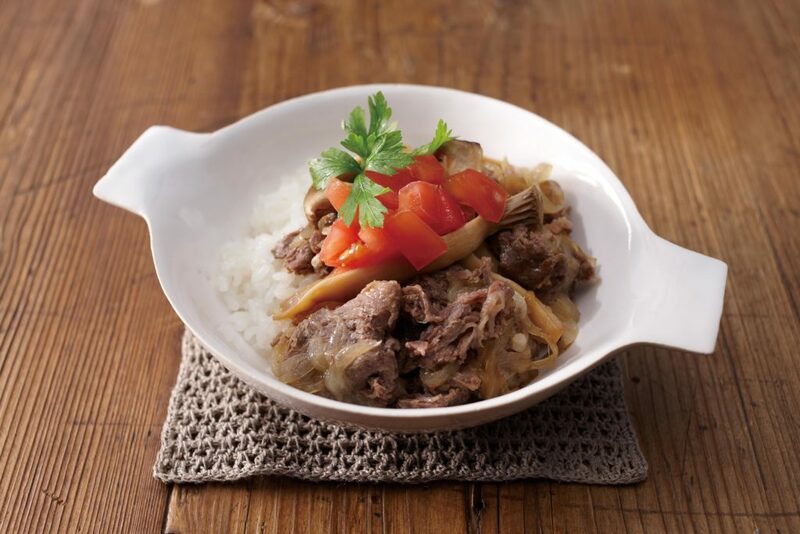 When you select the Synchro-Cooking setting, the vapor created by the cooking rice will steam your thinly sliced beef, onions and king oyster mushrooms to perfection at the same time. Ultimate bonus: you and your family are going to LOVE this Japanese-Italian mash up! We love a good mash up! And whether it’s a deft mix of Jay-Z and The Beatles on The Grey Album, or a recipe that draws culinary influences from different cultures for an altogether new food experience, we’re all in! Get ready for an East meets West explosion of flavors. Because this savory and bright Italian beef bowl recipe takes many of its cues from a recipe with origins quite a bit further East! Cut thinly sliced beef into bite size pieces, slice onions thinly and cut king oyster mushrooms into thin strips. Place in the tacook cooking plate and add the mixed seasoning mixture. Place the washed rice and water in the inner pot and set in the rice cooker. Set the cooking plate in the inner pot. Select the “Synchro-Cooking” menu and press the [Start/Rinse-free] key. When cooking is complete, serve the rice in a bowl and place beef and tomatoes on top.